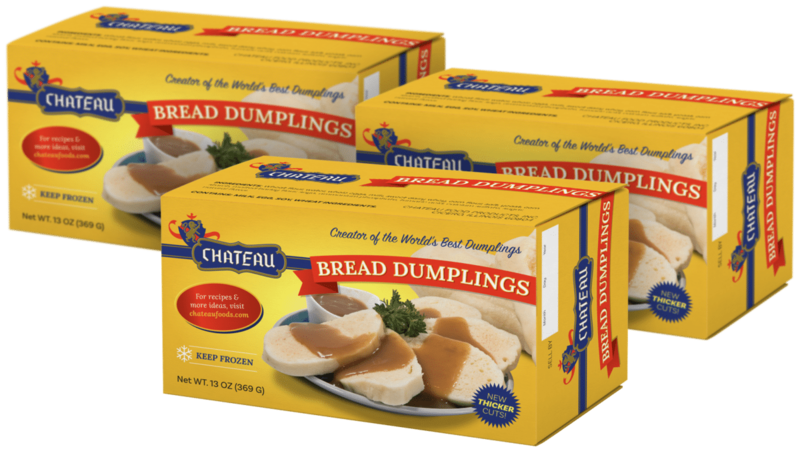 PLEASE NOTE: Dumplings are shipped every Monday or Tuesday on the 1st and 15th of the month. 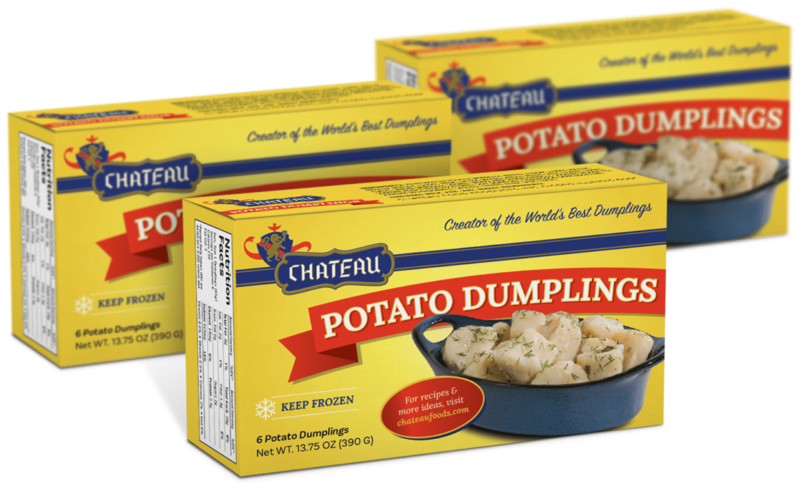 Chateau potato dumplings come from Grandma’s (Babi’s) recipe and have been sold since the 1930’s. 24 oz./1.5 lb. 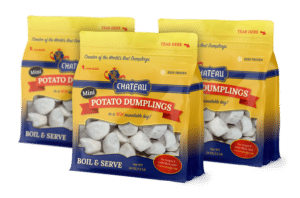 Potato Dumplings (approx. 45 pieces) in a Recloseable bag. 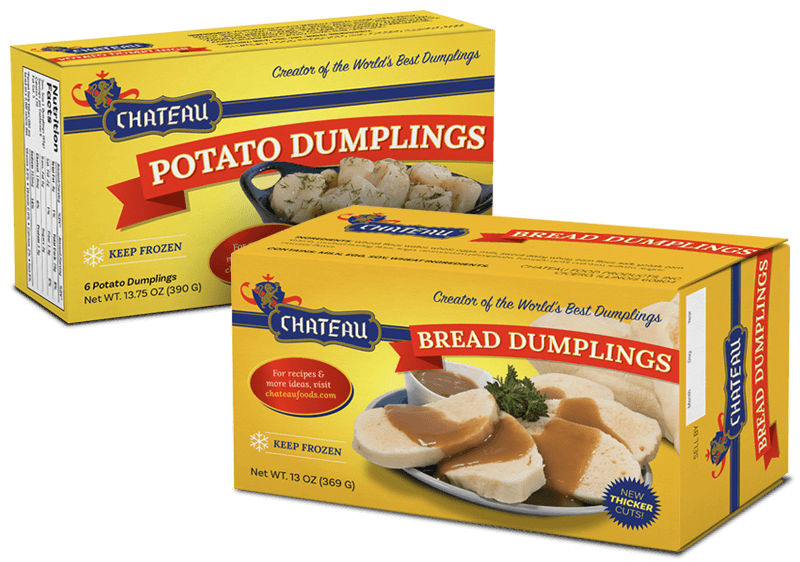 Ideal with butter, cheese, red or white sauce(s), gravy, in soups and complement any meat, poultry or fish. 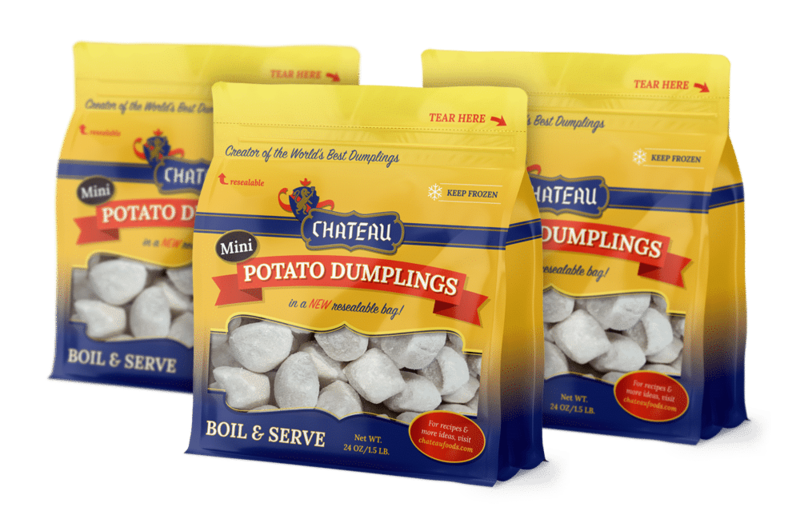 Ingredients: rehyrated potato granules, wheat flour, eggs, water, malted barley flour, milk, extra grade sweet whey, salt, corn flour, yeast, onion granules, sugar, mono and diglycerides, sodium bisulfite, sodium acid pyrophosphate, soy bean oil, cellulose gum, lecithin, sodium bicarbonate, spices, citrus acid, BHA, EDTA.